- Soak your opponent with the Goblin! 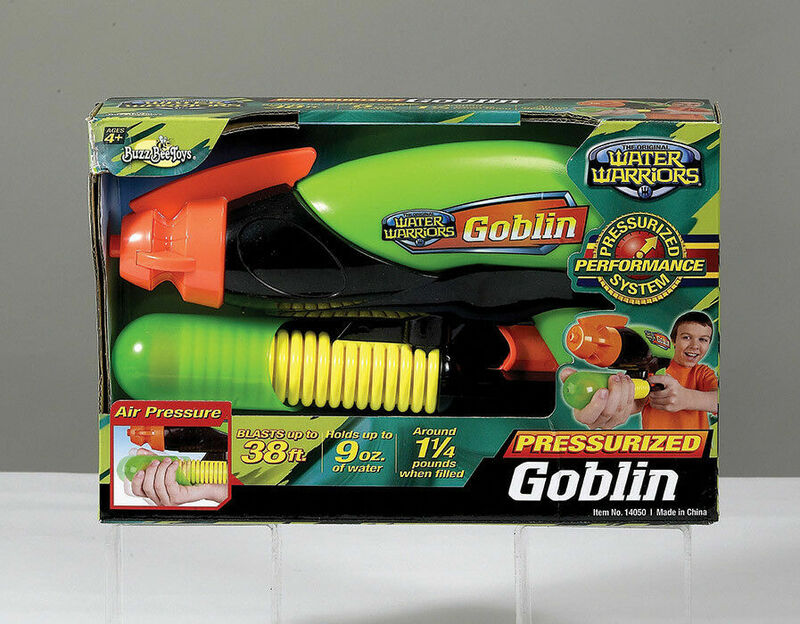 - Air pressure performance lets you blast water up to 38 feet! - Easy pump handle for fast blasting action! - Easy refill tank so you can recharge on the go! - Holds up to 9oz of water. - Weighs about 1.25 lbs when filled.